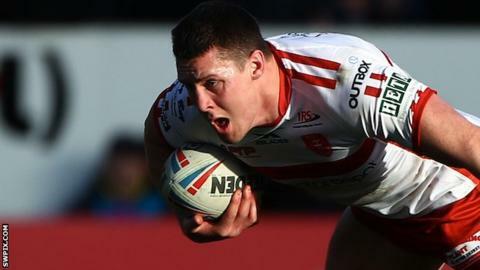 Hull KR skipper Joel Tomkins could be facing a five-match ban after being charged with questioning a match official's integrity. Tomkins was charged with the Grade D offence after his side's loss to Salford Red Devils on Saturday. The Robins, who had led 22-8 at the break before falling to a 24-22 defeat, have won two and lost two of their Super League games so far this season. Tomkins joined Hull KR after leaving Wigan Warriors in June 2018.